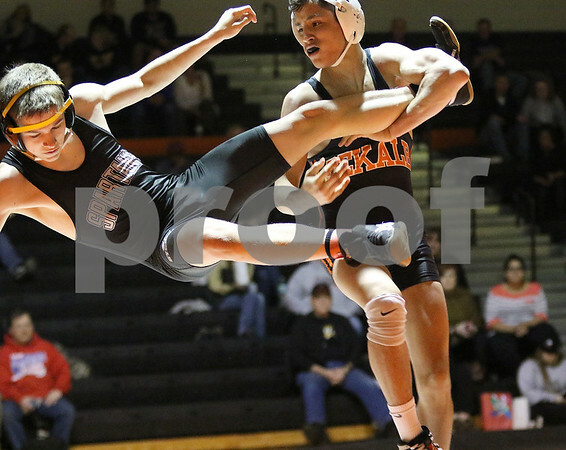 DeKalb's Ulises Jacobo takes down Sycamore's Noah Willard while competing in the 132 lb. match at DeKalb on Thursday, Jan. 14, 2016. DeKalb beat Sycamore, 54-16.